Everything plus the kitchen sink. Tim designed the Echo Base Kit for a wide range of anglers, from the four-salt old-timer to those who don't know a reel seat from a love seat. 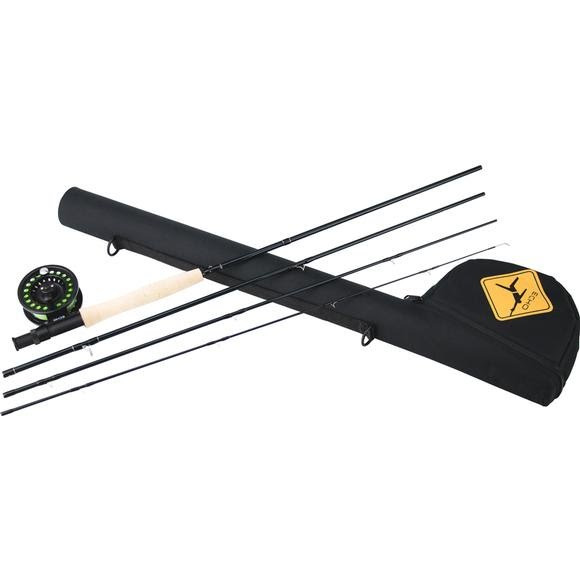 The Base Kit comes complete with a Base rod, durable composite Base reel and high-performance fly line. Oh yeah, and a padded case that fits the whole shebang. Everything plus the kitchen sink. Tim designed the Echo Base Kit for a wide range of anglers, from the four-salt old-timer to those who don&apos;t know a reel seat from a love seat. The Base Kit comes complete with a Base rod, durable composite Base reel and high-performance fly line. Oh yeah, and a padded case that fits the whole shebang.